Air-conditioned apartment, with internet and wifi connections,uk tv with sky sports, movies + box sets, bt sports , setanta etc freshly decorated with new oven, hob, washing machine. 40" digital tv with usb and hdmi connections. car not necessary as there are 2 supermarkets Lidl and Mercadonna across the road,above the supermarkets are restaurants the main one is an all you can eat Chinese. 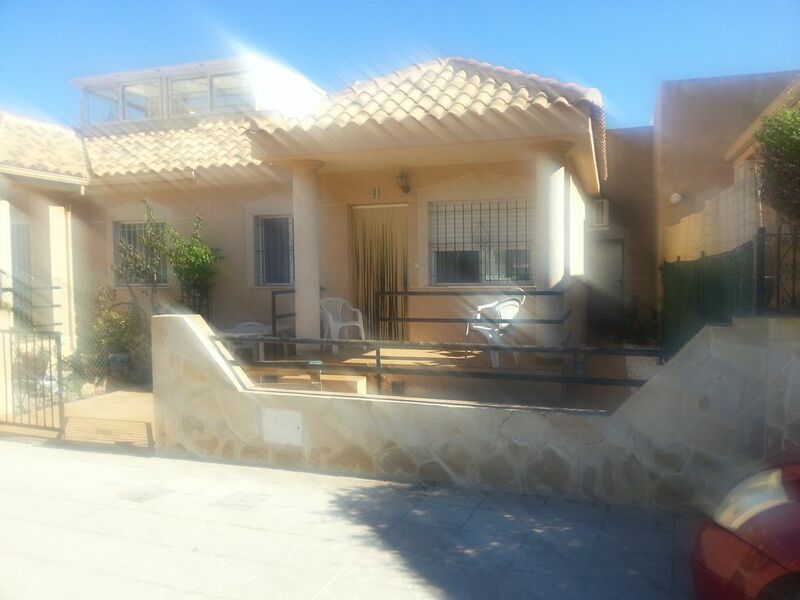 Bars including Paddy's Point are 3 or 4 min walk, the beach is 10 to 15 mins, La zenia Boulevard less than 10 mins in short this bungalow is right in the middle of La Zenia which is why we were tempted to buy it for our holliday home. Everything was very fine...as expected. I can recommend this bungalow. Fantastic stay in this property. We enjoyed our 11 days here. There is everything in this apartment for a comfortable stay. Its central to the shopping center. We would highly recommend this apartment. Had a great time.Location fab. Walk to beach 7mins,walk to La Zenia boulivard 4mins.Supermarket and Lidl just across the road,plus all uk tv channels,what more could you want,Enjoy!!!!!! Lovely accommodation, clean and well equipped. It was very hot while we were there and we were so thankful for the air conditioning. The shops and bars are very close and the beach about a 20 minute walk. Beautiful beach although very busy (we did go end of July so weren’t expecting it to be quiet) Faye is lovely and very helpful, answering all our questions. Thank you very much for a great stay in La Zenia.